After a long wait, we finally have the first Moto Z series phone from Motorola this year. The Moto Z3 Play was officially announced today as expected, it is a mid-range smartphone featuring premium design and some ‘Moto-ish’ features like support for the Moto Mods. We already know a lot about the phone, thanks to all the previous leaks and rumors. But as the device is now official, let’s talk about everything in detail. Just like its predecessor, the Z3 Play doesn’t offer anything impressive regarding the specifications. In fact, it is a pretty overpriced phone for what it offers under the hood. The $499 price tag is something we don’t expect for such a phone as adding some more bucks gives you OnePlus 6, a flagship with all the features you want in a premium high-end phone. The Moto Z3 Play looks a lot like the recently launched G6 series phones from the front. It has the same 18:9 display with rounded corners. There is the Motorola branding on the bottom chin, and it is a pretty nice way to use that space (Adding a speaker is the best way to use that space but, not every company is Google). The fingerprint scanner is now located on the side, just like some previous Sony phones. 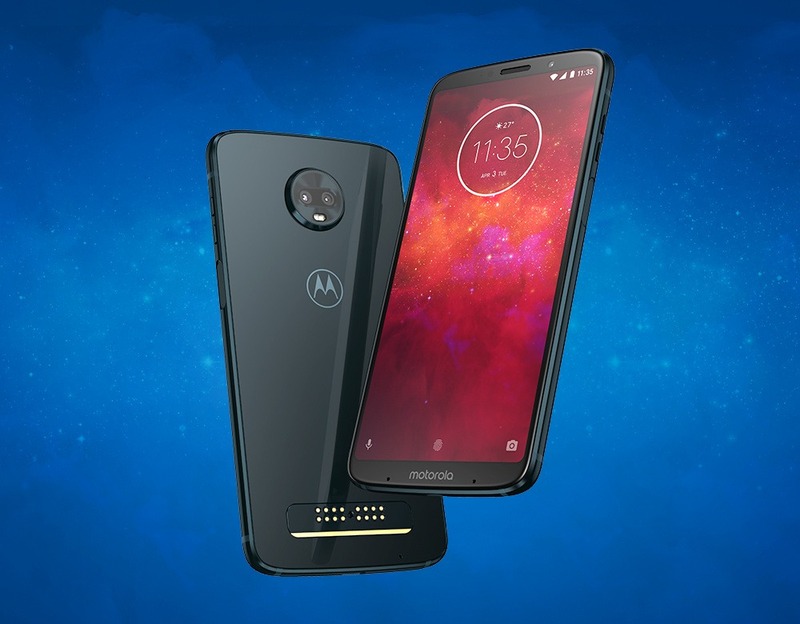 This was expected as the company wants to keep the rear the same as last year to make sure that the phone supports all the Moto Mods launched till now. This addition of fingerprint scanner on the side means that the power button is now located on the left. It would’ve been better to use the fingerprint reader as a power button, but for some reasons, the company decided to go for a separate power button. The volume rockers, however, remain at the right side, above the fingerprint scanner. Sadly, the Moto Z2 Play was the last Moto Z series device to feature a 3.5mm headphone jack as the Moto Z3 Play doesn’t have one. It was ‘OK’ to see companies ditching headphone jack from their high-end devices, but when it happens with a mid-range phone, then a lot of questions arise. What’s the need to remove the headphone jack when all you are doing is cutting the battery size to make the phone slimmer? No one wants a phone that is slim but can hardly last a full day with its battery. In fact, if you recall, one of the reasons why the Moto Z Play was a great device was the battery. It was enough to last a full day of usage. On the rear, the device has a dual camera setup. The magnetic pins to attach Moto Mods are also present on the bottom, and as mentioned in the beginning, the phone supports all the Moto Mods launched till now. The phone isn’t water resistant, but just like recent Moto phones, it has a water-repellent coating to protect it from splashes or water or a little rain. 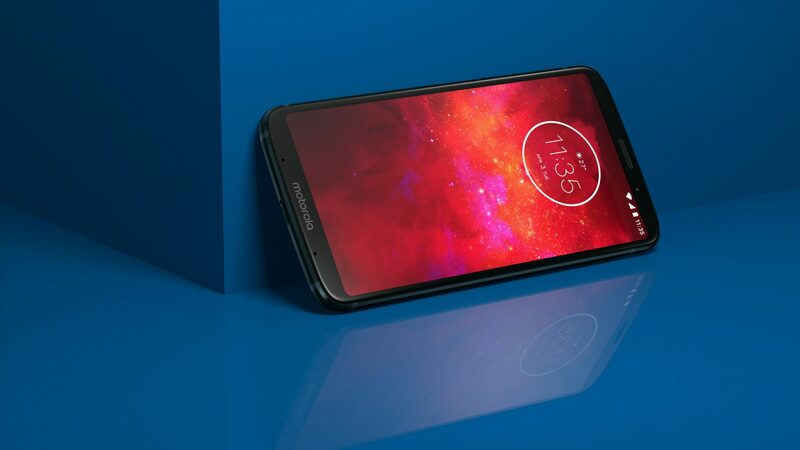 Coming to the specifications, the Moto Z3 Play has a 6.01-inch Super AMOLED Full HD+ display with a resolution of 2160 x 1080 pixels and a screen-to-body ratio of 79%. Motorola calls it a 189 Max Vision display. The display is protected by the Corning Gorilla Glass 3. Under the hood, there is 1.8Ghz Qualcomm Snapdragon 636 processor along with 850 MHz Adreno 509 GPU. There is only one RAM option i.e., 4GB and the phone features 32/64GB internal storage. The storage can be expanded up to 2TB via microSD card. Talking about the cameras, there is a dual rear camera setup that features a primary 12MP camera with f/1.7 aperture, 1.4um pixel size, and PDAF. The secondary camera is a 5MP depth sensor. Previously, we had a combination of RGB + Monochrome sensors on the dual camera phones from Motorola, but this time, the company decided to go for a depth sensor as a secondary camera. And yes, the rear camera is capable to capture portrait shots and there are a lot of camera features like Cinemagraphs, portrait mode, spot color, cutout mode, face filters, panorama, manual mode, YouTube Live mode, landmark & object recognition (powered by Google Lens), real-time text translator, text scanner, active photos, barcode & QR code scanner, business card reader etc. On the front, the Moto Z3 Play has an 8MP camera with 84° lens, f/2.0 aperture, and 1.12um pixel size. Just like the rear camera setup, the single front camera can shoot portrait selfies. Front camera features include Cinemagraph, portrait mode, group selfie mode, YouTube Live mode, face beauty, manual mode, face filters, active photos, etc. The rear camera can shoot up to 4K 30fps videos while the front camera can shoot 1080p 30fps videos. Finally, there is a 3,000mAh battery under the hood that also supports 15W Turbo Charging via USB Type-C Port. The phone can be charged wirelessly via a Moto Mod. Android 8.1.0 Oreo runs out of the box and just like every Moto device, the UI is pretty much stock except for some additions like Moto Display, Moto Gestures, etc. Talking about the pricing, the moto z3 play is going to be available this summer in the U.S. at Sprint and U.S. Cellular. It will be available universally unlocked at Best Buy, Walmart, Target, Fry’s, B&H Photo, and as Prime Exclusive Phone on Amazon.com. The Moto Z3 Play, along with the battery moto mod, will cost you $499. As mentioned in the beginning, the phone is overpriced for what it offers. What are your views on this pricing? Do let us know via the comments section.